IV-D Child Support Services are available to any North Carolina parent or custodian regardless of income level. Individuals receiving Work First benefits and Medicaid are automatically referred to the local child support enforcement agency. Persons receiving public assistance are required to cooperate with child support enforcement as a condition of their eligibility for assistance. Persons not receiving public assistance may apply for and receive child support services upon the payment of a $10.00 or $25.00 application fee, based on income. Child Support Services are also available to custodians other than parents, such as aunts, uncles, grandparents, court-appointed guardians, or others who are caring for a child. Mandatory guidelines are used in the North Carolina Child Support Enforcement Program in order to compute a child support obligation based on the combined gross income of the custodial and non-custodial parent. The absent parent may either voluntarily agree to an amount of support, or the obligation can be established through court proceedings. 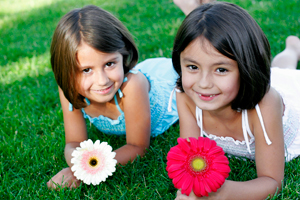 IV-D Child Support Services will not address child custody or visitation issues. If you have questions or would like additional information please contact our Child Support Unit at (704) 982-6100. Payment information can be obtained by calling 1-800-992-9457. To request a duplicate debit card for child support, contact SMI ONE at 1-877-776-9759.